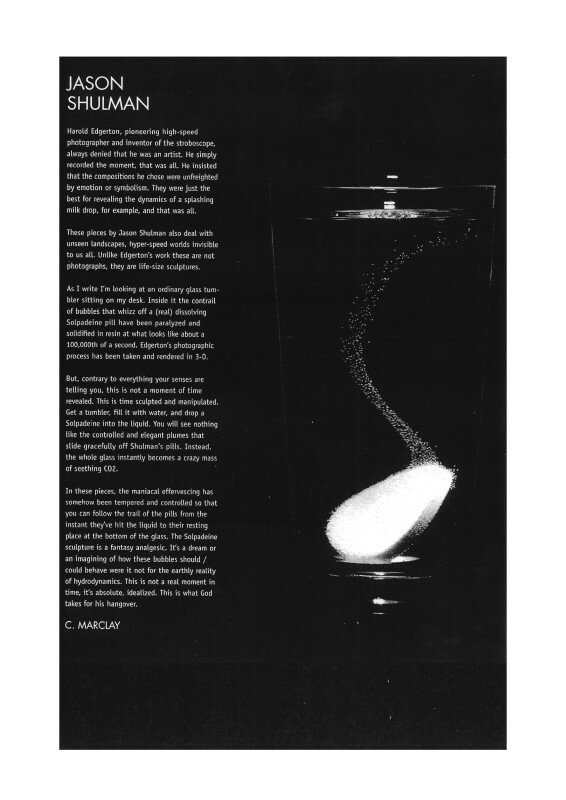 Harold Edgerton, pioneering high-speed photographer and inventor of the stroboscope, always denied that he was an artist. He simply recorded the moment, that was all. He insisted that the compositions he chose were unfreighted by emotion or symbolism. They were just the best for revealing the dynamics of a splashing milk drop, for example, and that was all.